For those that have read Peter Lynch’s “One Up on Wall Street”, I think you’ll find some value in using Google Trends as valuable tool when making investment decisions. Just a little background on Lynch: -Lynch was head of Fidelity Magellan Fund from 1977 till 1990 -During his tenure he averaged 29.2% annual returns -He holds the record for the best 20 year return of any mutual fund EVER! Lynch employed what he called “local knowledge” which is essentially being aware of the products and services you or others around you use on a regular basis. At a high level, his investment strategy suggested the companies that produce the products and services that you or those around you use on a regular basis or that are increasing in popularity could be a good investment given that the underlying fundamentals hit all his high water marks. Lynch’s book talks about the multiple instances where he had come across investment opportunities by taking notice of his wife’s purchases; If anything, I feel that this speaks volumes about Lynch’s awareness of his surroundings and is arguably the most important factor that led to his success with the Magellan Fund. 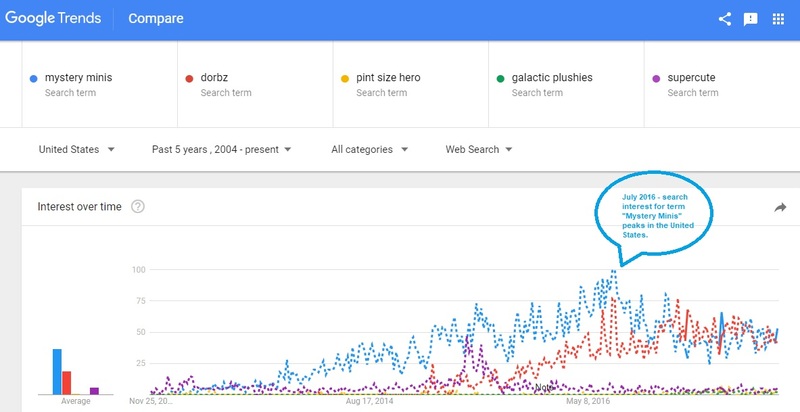 With Google Trends, you could literally never leave the comfort of your home and have an infinite amount of current trend data equal and in some cases better than what was used by Lynch during his time. For instance, take a look at trend data for the keywords: TESLA, APPLE/IPHONE/IPAD and you’ll notice that during the exponential appreciation in searches, there was a corresponding significant increase in the share price in AAPL and TSLA. This isn’t to say that search trend data is 1:1 to share prices of publicly traded stock, rather it could simply be used as an additional tool with almost any investment strategy in determining if a particular company is still “Popular” in the eye’s of those using google and thus worth investing in. Reblogged this on Lev Janashvili.